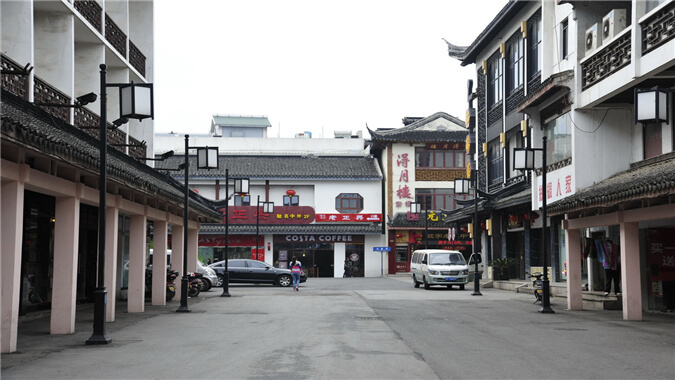 Suzhou Guanqian Street, located in the center of the ancient city of Suzhou, Jiangsu Province, is a commercial old street formed in the Qing Dynasty. It is about 800 meters long. It gained the name because of its location in front of the Xuanmiao Temple (Xuanmiao Guan in Pinyin). Its name has a history of more than 150 years. 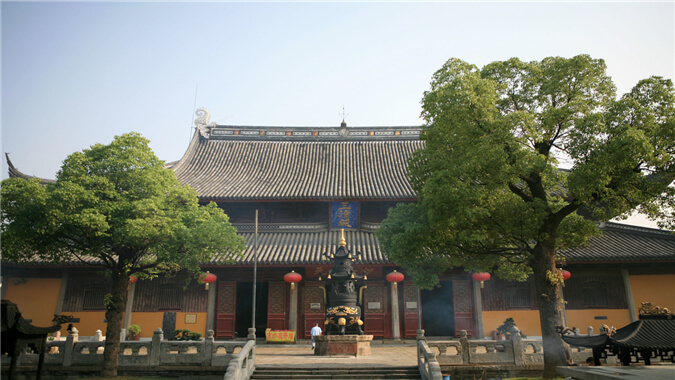 Xuanmiao Temple, a national key cultural relic conservation unit, with its rich connotation of Taoist culture, it attracts tourists from home and abroad. Suzhou is historically a consumption type city. Therefore, there have been many food and gourmets in Suzhou since ancient times. 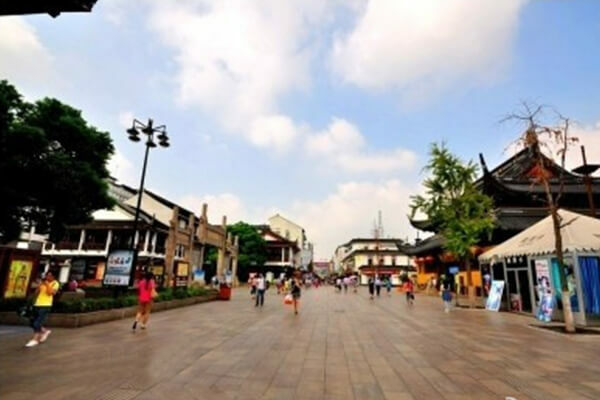 Guanqian Street, as the most prosperous commercial street in the ancient city of Suzhou, boasts numerous historical sites and it naturally attracts many famous shops and products. 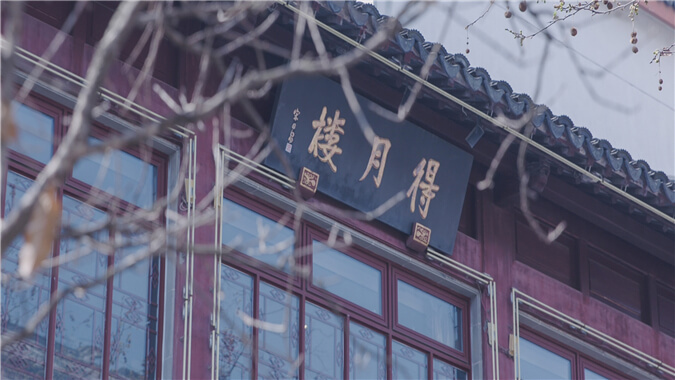 Guanqian Street has always been famous for the collection of Daoxiang Village, Qiantaixiang, Huangtianyuan and many other famous old-fashioned shops. 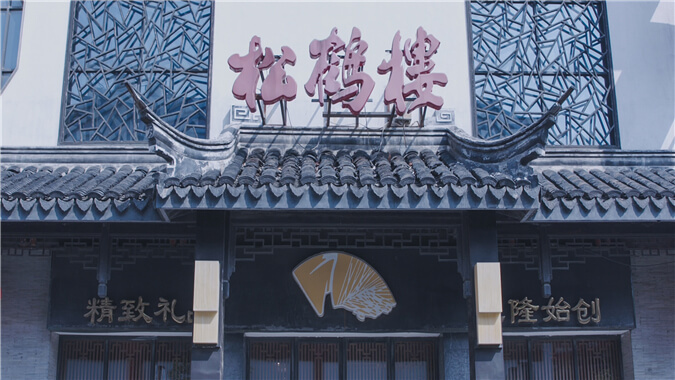 The food court located at Bifengfang–Taijian Lane is famous for Suzhou cuisine in Jiangnan. Lots of century-old shops are gathering here. The Song He Lou Restaurant has a history of more than 200 years. It even traveled to the novel Demi-Gods and Semi-Devils to act as the place where Xiao Feng and Qiao Feng swore brotherhood. The squirrel-shaped mandarin fish, fried shrimp meat, fried dice eel and Braised Dongpo Pork in Suzhou Cuisine are its representative dishes. Deyue Tower has a history of more than 400 years. It has appeared in many cultural and film and television works. It is also an old Suzhou restaurant that has many famous dishes. In addition, Lugaojian, Lu Yang Huntun, Huang Tianyuan Rice Cakes, and Caizhizhai are also long-established specialty food outlets. These famous restaurants not only make Suzhou people’s days tastier like tasting teas, but also embody the characteristics of Suzhou’s inclusive food culture.